After a long time working on it, we launched our new website yesterday. We hope the change makes the site more user friendly and easy to navigate. We’ll be adding more content over the next few weeks. Thanks to everyone on the CU Spaceflight team who was involved with the new site, we think it has been worth it! Cambridge University Spaceflight is a student run society founded in 2006 comprising undergraduates and postgraduates from many disciplines. 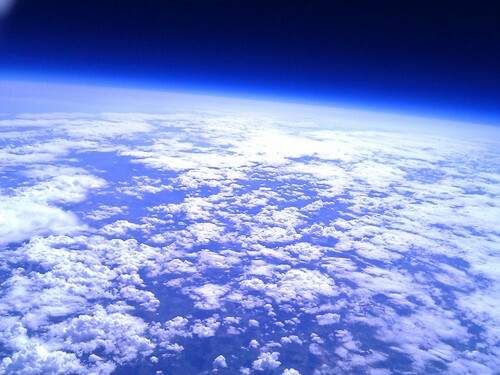 We design, build and test high altitude balloons, high powered rockets, and other related experiments. Our main aims are to inspire and provide practical experience to Cambridge University students. We have some new members working on new Arduino trackers, following in the footsteps of the very successful Weasel project last year. In the vein of ramping up work on rockets this year, some have been ordered! We’re getting a LOC Precision ISIS, a LOC Precision Caliber ISP and a LOC Precision Bruiser EXP. Hopefully the ISIS will arrive in time to get playing as soon as possible, while the Bruiser should be big enough to start testing a lot of electronics. Several CU Spaceflight members attended the first annual UKHAS conference in Islington, London this weekend. Jon and Adam gave a talk introducing the society and the new Wombat radios and flight computers which are currently in development. This was followed by Ed’s talk on the Squirrel smartphone flight computer project. After four months in a tree in Exning, the Nova 19 payloads (Squirrel and Weasel) have been recovered thanks to the help of some local tree surgeons. The Weasel payload with its Canon A560 camera took some stunning photographs. 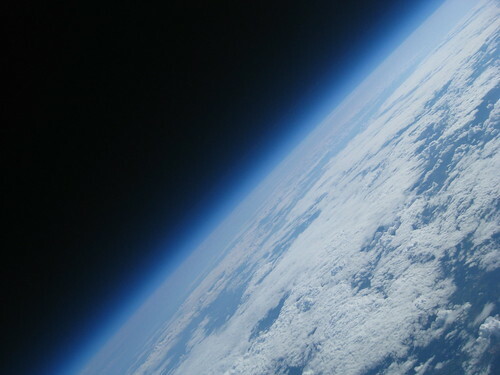 The view from Nova 19, miles above the clouds. See all of the Nova 19 images on Flickr. The Squirrel Nexus One smartphone was also extremely successful, taking some excellent images and videos. One of the current projects is to build a radio module to be a replacement for the excellent, but large and expensive, Radiometrix NTX2. 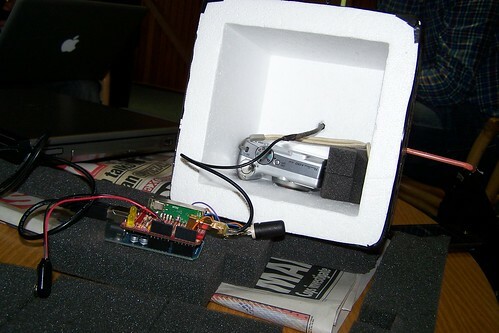 A first prototype uses the Micrel MICRF112 10mW FSK transmitter with a varactor controlled crystal pulling arrangement. An onboard variable capacitor also allows tuning of the centre frequency to anywhere in the LPD433 ISM band. 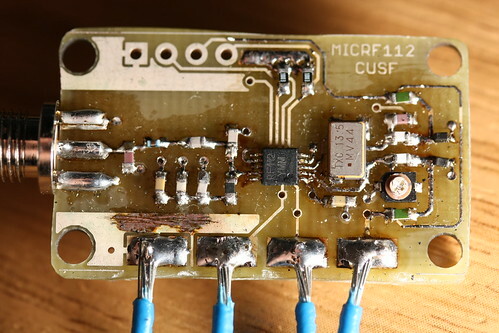 This prototype was soldered up today and is working well. We hope to develop this technique further to produce a cheap & reliable radio capable of MFSK and DominoEX as well as the standard 50/300 baud RTTY.